GreenPowerMonitor, now part of DNV GL, will be exhibiting at PV SYSTEM EXPO alongside its partner INNERGY. The event will take place in Tokyo, starting on Wednesday February 28th. 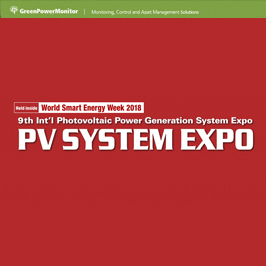 GreenPowerMonitor has a lot to showcase at PV SYSTEM EXPO 2018 with some outstanding new tools we have developed and integrated into our platform: GPM Plus & GPM SCADA. All of our executives will be attending and invite you to stop by Booth #E9.31 Don’t miss the chance to meet our experts! We would be pleased to discuss and demonstrate the value our GPM solutions can add to your assets through our controls, performance monitoring, portfolio management and O&M tools. Also, please let me know if you are not planning on attending this year’s PV SYSTEM EXPO. We would love to schedule a face to face visit with you at your office following the show. 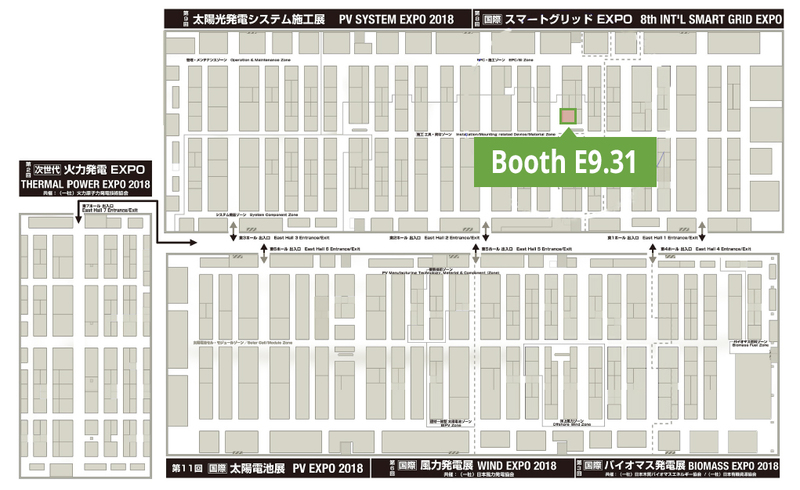 We look forward to meeting you at PV SYSTEM EXPO 2018!